Here, at sarvgyan.com, we have listed some of the top engineering colleges in West Bengal 2019. It includes best engineering institutions for pursuing engineering courses. Some of the colleges are National Institute of Technology (NIT), Indian Institute of Technology (IIT), Indian Institute of Science Education and Research (IISER), etc. In West Bengal, there is a huge craze about engineering education. There are many colleges which offer B.Tech course in various specializations/disciplines such as Civil Engineering, Computer Science & Engineering, Electronics & Communications Engineering, Chemical Engineering, Mechanical Engineering, Aeronautical Engineering, etc. If you have any other query about Top Engineering Colleges in West Bengal 2019, you can ask us by leaving your comments in the comment box. 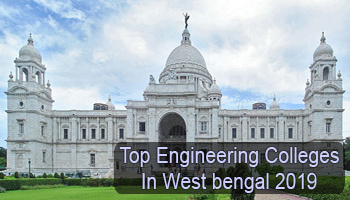 The top engineering colleges in West Bengal are mentioned in the article. I want to go with electronic and communication in Rcc institute of information technology.. So I want to know about the placement of this stream in this college.. Please tell me about this ??? What is the rating in terms of job prospect, campusing and educational standards of UEM, Kolkata, for Computer Science B. Tech? With a ranking of 10300 in WB JEE which Engineering Colleges and which courses one can apply to get admission?